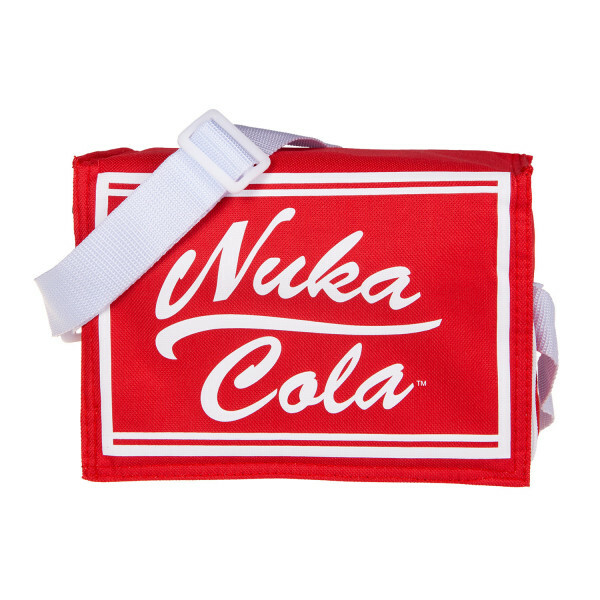 Make sure your cans stay cool with this bright red cooler pack that features the "Nuka Colo" logo. Holds six standard sized cans, measurements approx. 22x15x14cm. Manufactured by Gaya Entertainment.